120 Days Same as Cash $221.50 - Best Deal in Town. Table frame made with tubular metal and finished in an aged bronze color. 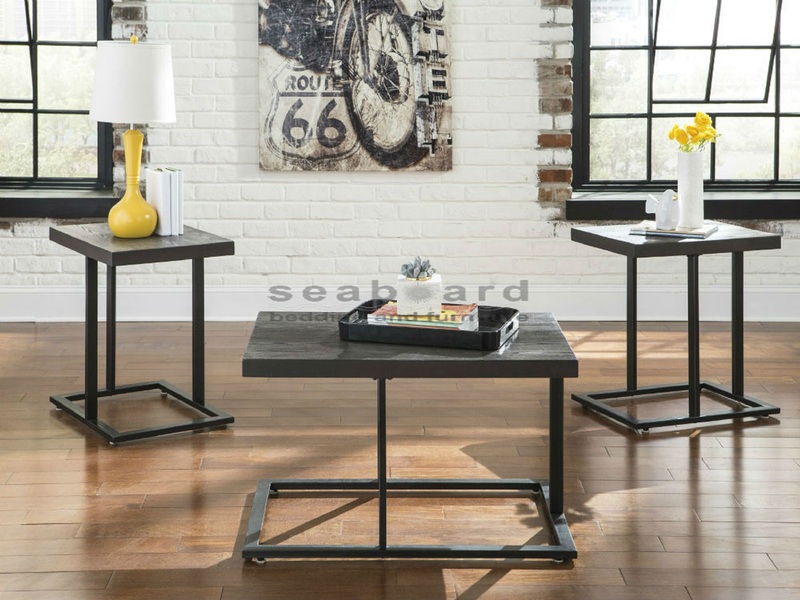 Ashley Airdon 3 Piece Occasional Table Set top made with wire brushed pine veneer finished in a graphite color finish. Modern cantilever design on versatile moderate scaled rectangular tables.